French President Nicolas Sarkozy will pay an official visit to the Democratic Republic of Congo next week, according to the French Embassy in the central African country. 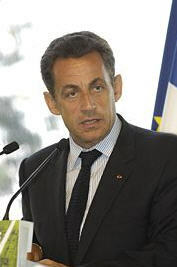 Sarkozy's schedule includes talks with Congolese officials and a speech in the National Assembly (parliament), according to the ambassador. The French leader vows to contribute to DR Congo's stability and reconstruction in its eastern region, where insurgency has been largely knocked out in the recent joint operations of DR Congo, Rwanda and Uganda. "We are ready, we French, we Europeans and we members of the world Bank to contribute to the reconstruction in the East. It's a formidable bet for the peace" in DR Congo, as its situation affects the entire Great Lakes region, said the French diplomat. Paris wants Kinshasa to take the opportunity to revive the Economic Community of the Great Lakes Countries (CEPGEL), which brings together Burundi, Rwanda and DR Congo. But Sarkozy's recent remarks on the sharing of resources between DR Congo and Rwanda sparked a strong reaction from Congolese nationalists, who staged a protest in front of the French Embassy this week and threatened more during Sarkozy's upcoming visit.